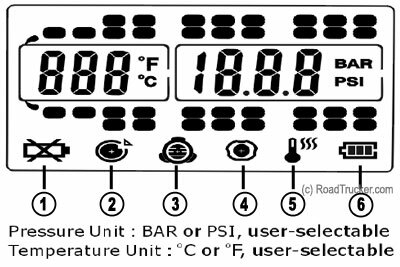 The TST507HUB6 includes 6 Flow Through Tire Sensors with user replaceable batteries. 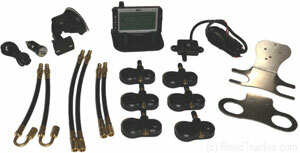 It is also features illuminated display that shows PSI and temperature simultaneously. 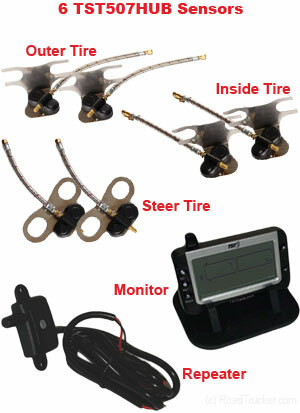 This system can be expanded to monitor up to 22 different tires with axle specific PSI settings.